For Reference: Pocket Clip Placement. 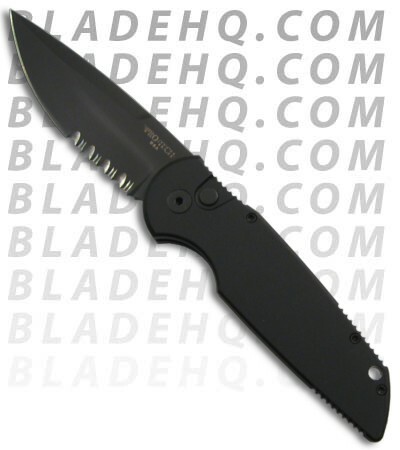 The Tacical Response 3 features a black finished 154-CM blade (partially serrated) and a smoothblack anodized T-6 6061 body (the hanlde is solid- no groovs or holes). The TR-3 is a knife that will not let you down. It fires hard, locks up like a rock (what else would you expect from Pro-Tech?) and feels great in your hand. 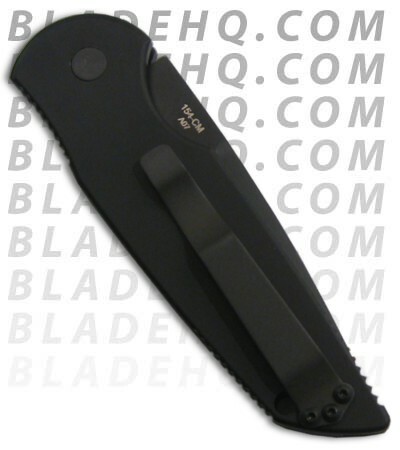 The slim design rides well in the pocket (black coated pocket clip is on the back of the knife). All black hardware.